A minor update on “The Hobbit” for you fanatics. Despite the fact that Orlando Bloom wasn’t really accepting questions outside of Mark Ruffalo‘s directorial debut, “Sympathy For Delicious” today, the film he was promoting — earlier in the press day he apparently had gently scolded a journalist for asking about one his “The Good Doctor” film currently playing at the Tribeca Film Festival — we managed to eek out a little something from the actor afterwards. “My fingers and toes are crossed, but, yes, I’ll be there. We’re just waiting for everything to get straightened out,” Bloom told us. Bloom’s return as the elf Legolas from “The Lord Of The Rings” has been apparently in the works for since December, but evidently whatever schedules, salary negotiations and paperwork that needs working out is not quite finished. This appears to be the same case for Saoirse Ronan, who keeps dancing around the fact that she’s not “officially confirmed” for “The Hobbit,” but clearly has been in some sort of discussions and negotiations. Apparently A-list actor ‘Hobbit’ negotiations need a bit more finesse than say one of the lesser-known British actors playing one of the thirteen dwarves. “The Hobbit” had a minor hiccup on Sunday when it lost “EastEnders” actor Rob Kazinsky due to personal reasons (said to be health reasons). The picture is still on track though. 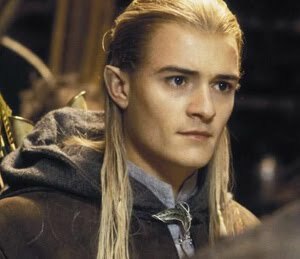 The first installment of “The Hobbit” will hit theaters December 19, 2012, while part two will arrive sometime on December 2013.